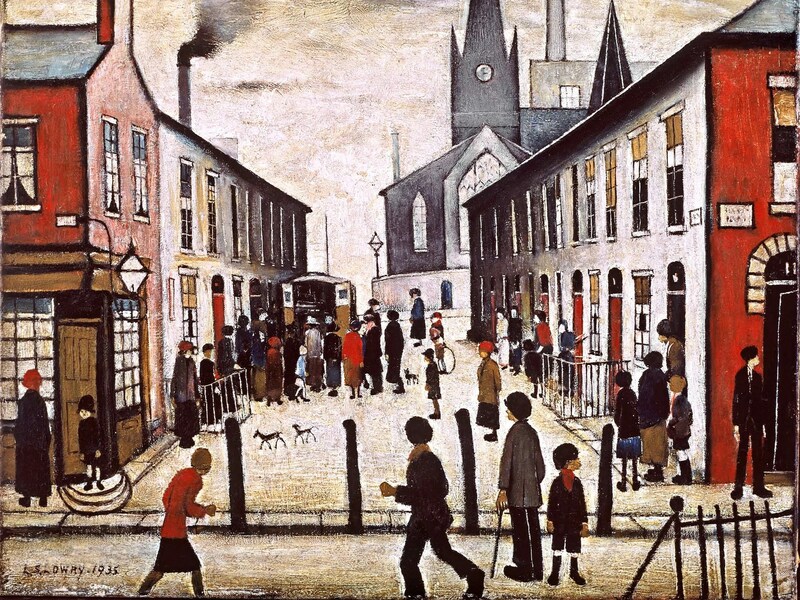 Laurence Stephen Lowry (1 November 1887 – 23 February 1976) is famous for painting scenes of life in the industrial districts of North West England in the mid-20th century. Many of his drawings and paintings depict Pendlebury, Lancashire, where he lived and worked for more than 40 years, and also Salford and its surrounding areas. He developed a distinctive style of painting urban landscapes peopled with human figures often referred to as “matchstick men”. He painted mysterious unpopulated landscapes, brooding portraits and the unpublished “marionette” works, which were only found after his death.